At the beginning was the word … or in the case of Everett Hamner’s new study on genetics in contemporary fiction the observation of specific words, of how discourses of genetics tend towards religious and metaphysical motifs, and how scientist use these to create a mythical aura around their work. From this observation, Hamner derives his main research question: how does our culture present genetics as “reimagining the nature of our souls?” (2) In the following, Hamner identifies a general pattern of how the representation of new technologies in mainstream fiction evolves along a three-step path. Though these steps are not neatly separated but overlap, they provide Hamner with a useful guideline to his analysis of genetics: First, the new technology of genetics is explored via fantastic imaginations in the second half of the 20thcentury, then with the Human Genome Project around the turn of the century, realistic depictions and plausible representations form the second step, before the technology becomes proliferated and imaginings of genetics take on a metafictional quality (9-10). From this progression, Hamner sets up the three main analytic chapters of his book on “genetic fantasy,” “genetic realism,” and “genetic metafiction” (10) respectively. Before delving into the thicket of genetic representations though, Hamner provides a chapter solidly laying the groundwork for those readers not initiated into genetic research. His “Brief Genetic Primer” is a well-summarized account of the current state of affairs in genetics – it is valuable and necessary because most of Hamner’s analysis hinges on the idea that popular culture misrepresents the actual science of genetics. Without such a misrepresentation and a clear understanding of what is possible, probable, and impossible, a determination of any work of art as genetic fantasy or genetic realism could not work. In the same chapter, then, Hamner also explains his methodology and his choice of theoretical grounding, which is rather unusual for someone working in the vicinity of Science and Technology Studies. As might be glimpsed from the title and the above mentioned guiding question, Hamner uses the same specific language of religion to connect the fields of “religion and science” to show that any borders perceived between them are “the results of specific cultural negotiations,” similar to those surrounding binaries such as “whites versus blacks” or “masculine versus feminine” (51). This “postsecular theory” reads texts not as either “religious” or “secular”, thus allowing Hamner to connect genetic tropes and imaginations to deliver meaning on questions of love, human nature, and the soul. As unusual and controversial this choice may be, Hamner’s readings are undeniably observant towards the theological and metaphysical underpinnings of the discourse around genetics. Setting the aside questions of methodology, Hamner’s readings of the three different categories of genetics in popular culture are timely and important as the technology actively shapes our constructions of nature, culture, and the self. Focusing his readings on the figure of the clone, Hamner then goes on to discuss genetic fantasy via Ursula Le Guin’s “Nine Lives,” Pamela Sargent’s Cloned Lives,Octavia Butler’s Xenogenesis,and Duncan Jones’s film Moon. As examples of genetic realism, Hamner expertly interprets the television series Orphan Blackas well as Kasuo Ishiguro’s novel Never Let Me Go, before moving into even more mimetically-inclined literature via Jeffrey Euginides’ Middlesexand Zadie Smith’s White Teeth, two intergenerational novels about migration. In the last analytical section, then, Hamner discusses Brian K. Vaughan and Pia Guerra’s graphic novel Y: The Last Manand Margaret Atwood’s MaddAddamnovels, before finally settling on the most literary example of genetic metafiction in the novels of Richard Powers, especially Generosityand Orfeo. Hamner’s interpretations center on the depiction of genetic technologies in relation to what he calls “technotranscendence,” a “uniquely modern form of the sublime that combines religious and secular awe in the face of industrial and eventually digital achievements” (9). Whereas the texts discussed under genetic fantasy clearly adhere to a kind of technotranscendent reverie (either in the form of expressed anxieties and fears or via utopian hopes) of clones as carbon-copies of humans (but not quite), the genetic realist depictions of Orphan Blackand Never Let Me Goreject this and rather construe varied and nuanced notions of epigenetic individuality and the bioscientific processes that create them. What is intriguing in Hamner’s argument, is his broad interpretation of the genetic and techniques such as cloning as going beyond scientific processes and functioning within the concept of inheritance, in terms of both biological and cultural replication. It is from this understanding of the genetic that he includes Middlesexand White Teethas novels that “reimagine immigration as a low-tech form of genetic engineering, one that mixes genes and cultural environments” (119). Seen from this perspective, the novels open unique ways to explore cultural, national, and sexual identities, revealing genetic discourse at work in unexpected places. Similarly, Hamner reads his genetic metafiction as commenting on the nature and interconnectedness of narrative, culture, and religion via constructions of genetic scientific discourses. As he argues in regards to Powers’s novel Generosity: “genes are not predictors of an absolute destiny but the prerequisite instruments of multiple future compositions, each of which plays out in its own unforeseen manner” (207). 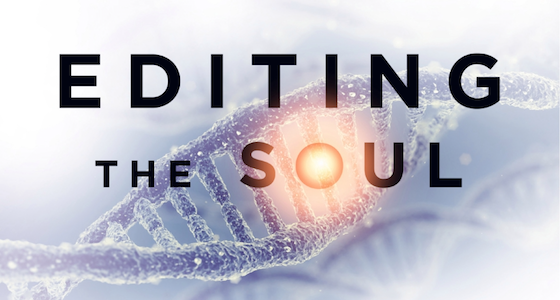 What Editing the Soulthus shows is that far from simplistic depictions of utopia or dystopia, genetic science has become a variable field for the popular cultural imagination. In genetic fantasies we explore analogies and metaphors of human nature and identity politics, in genetic realisms we discuss real-world concerns, possibilities and limitations that come with new and radical technologies and finally, in genetic metafiction, we are able to turn genetics into a new form of thinking about the broader implications of how culture, religion, and narrative function via inheritance, copying, and mutation. Im Original erschienen in Foundation: The International Review of Science Fiction. “Everett Hamner, Editing the Soul: Science and Fiction in the Genome Age.” Foundation 47.3 (2018): 108-11.